Streamers, balloons, a banner, people blowing through noise makers… and a big cake! 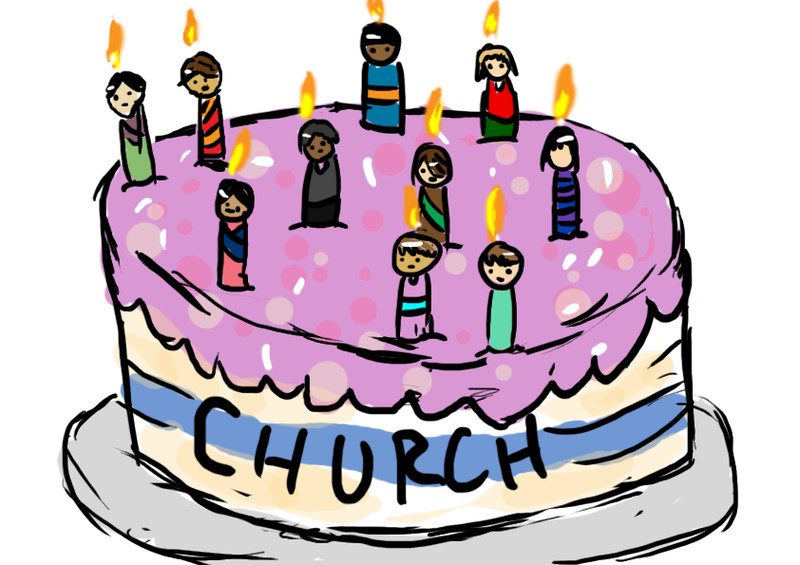 Well okay, Pentecost is not that kind of birthday party, but it is a celebration of the beginning of the Church. Instead of these fun festive things, we remember things which took place that are even more awesome! The message of Jesus is the truth, and because the disciples were given the gift to teach what Jesus instructed in languages other than their own, teaching the truth of what is yet to come has been passed on. The message was not to stay with the disciples. Because the Gospel has been spread throughout the world and through history, it is not intended to remain with us. We are called to be witnesses of the Gospel for others to spread the message so that they may also spread the message. There are so many individuals and groups who need to hear the Gospel, and they often hear the opposite of the Gospel. They hear the message of ignorance, indifference, or even hate because of social status, ethnicity, gender preference, or disability. I have seen posters at “Christian” rallies which say, “God hates Gays” and “God is White”. I read a news article which was about a city making it illegal to aid the homeless, and it hurts me deeply to see people who claim they are Christian only turn away from the Gospel. Jesus did not avoid the leper and other “impure” people, but instead he reached out to also minister to them. It is not always easy to love our neighbor, but it is our call to be witnesses of the Gospel to everybody. Are you spreading the Gospel?? ?